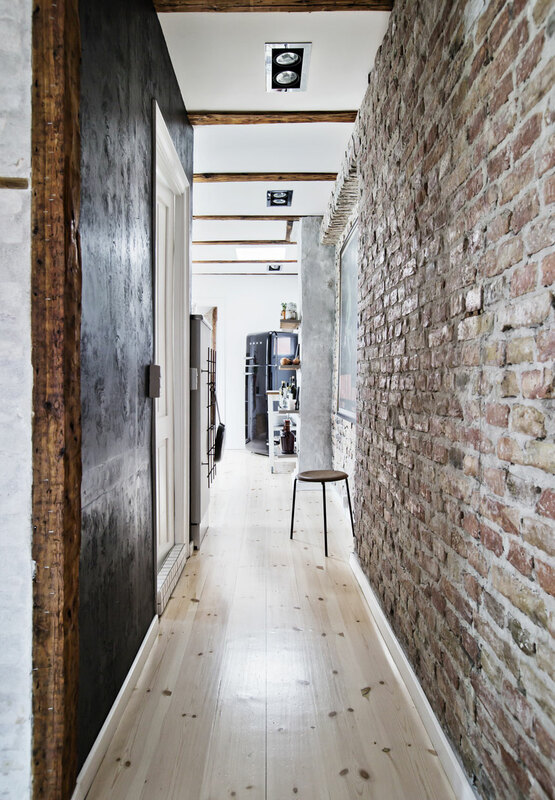 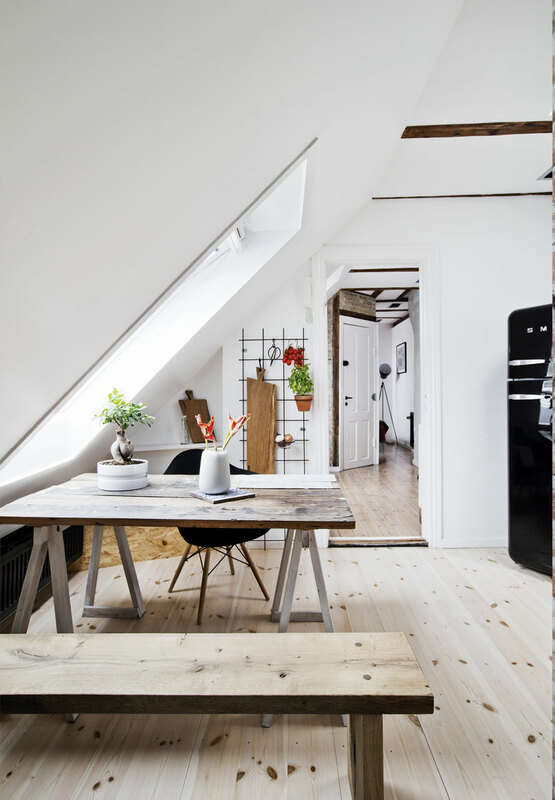 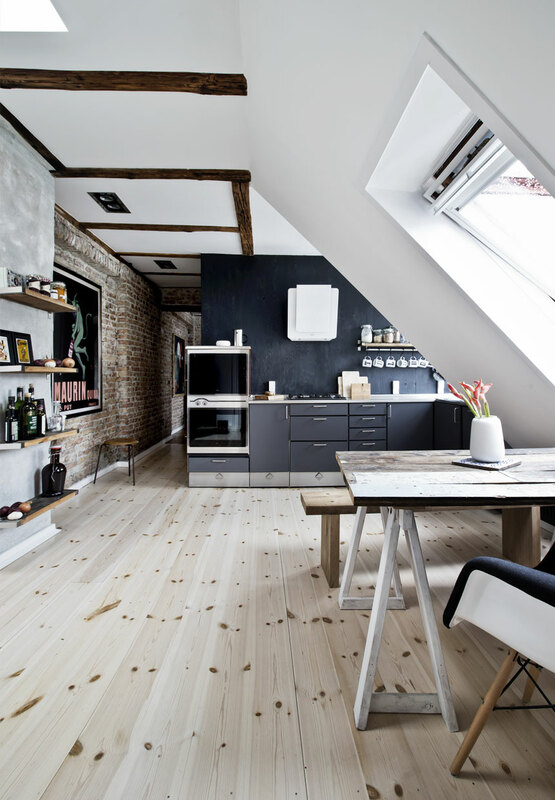 Today we have here a very nice place with a beautiful nice use of exposed bricks (both painted and natural) along with old, rustic wooden beams. 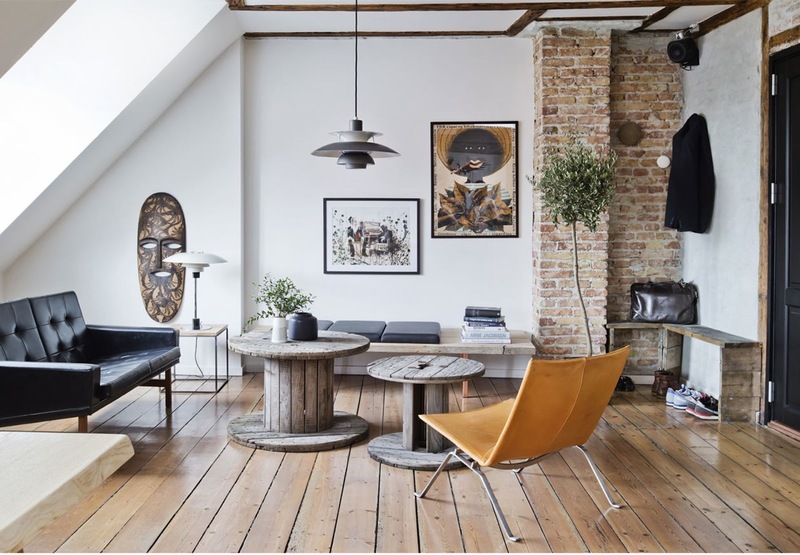 It is a tremendous look with a very cozy atmosphere. 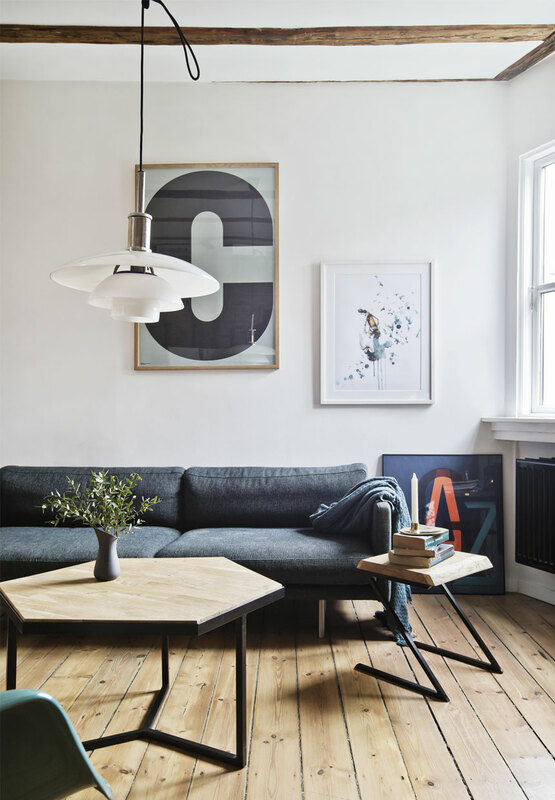 You can find some mid century modern classics like Poul Henningsens lamps or Eames chairs here along with the more industrial looking furniture which is a combination that works very well in this home.